For more information about Hula in Austria please visit www.hula-in-wien.at or contact Anette (anette@hula-in-wien.at) or Andrea (andrea@hula-in-wien.at). Roselle Keli’ihonipua Bailey offers studies and seminars in Austria twice a year. The Austrian Halau name is Hula Mai Na Pua Me Mapuana – dance towards me, flowers with the wafting fragrance. It expresses the dancers desire to inspire and touch their audience, to attract new beginners and to treasure the teachings they have received so far. Training classes of dedicated groups of students have formed in and around Vienna and assistance for beginner’s as well as advanced training classes are offered by Anette and Andrea, who have studied with Roselle for approx. 10 years now. 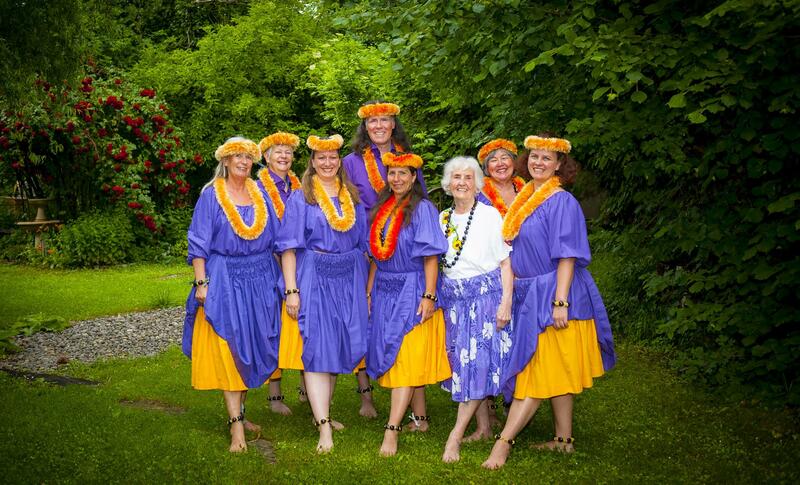 The long-term students of Roselle in Vienna organise performances, cultural evenings, Hula retreats and are in the process of forming their own non-profit organisation (gemeinnütziger Verein): Ka ‘Imi Na’auao O Hawai’i Nei, Austria. For updated information on dates and location please see http://www.hula-in-wien.at/termine/ or contact Anette (anette@hula-in-wien.at) or Andrea (andrea@hula-in-wien.at).